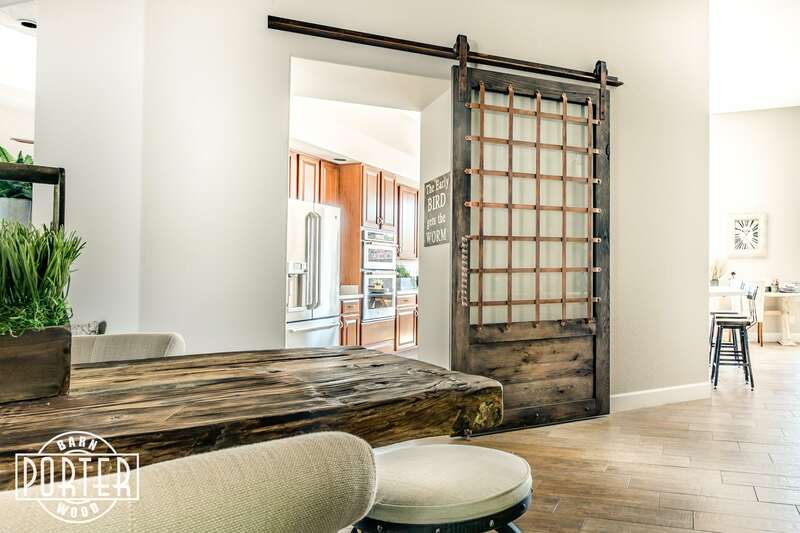 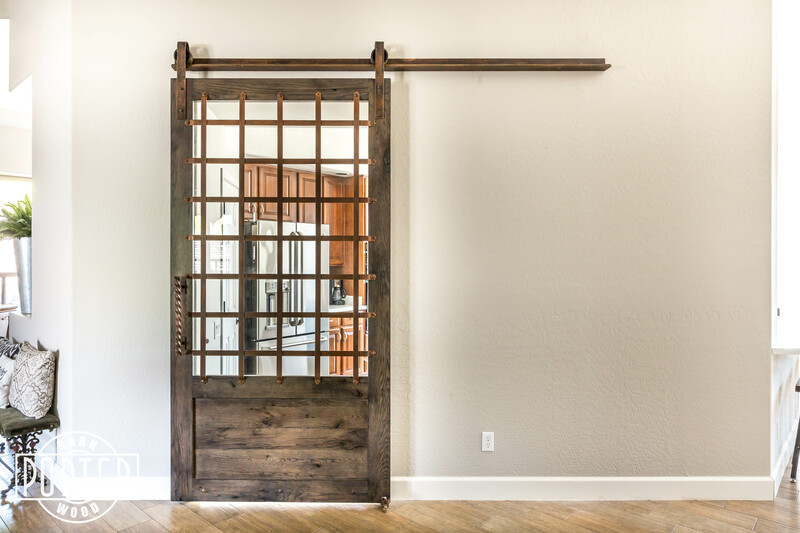 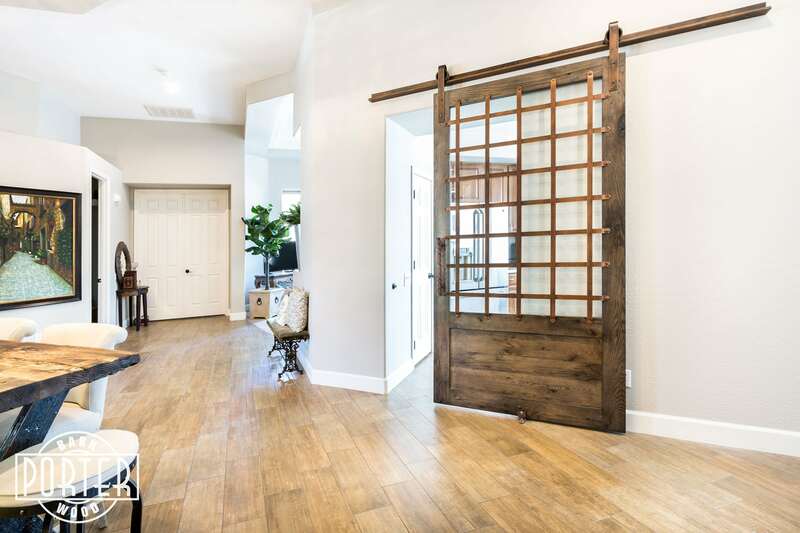 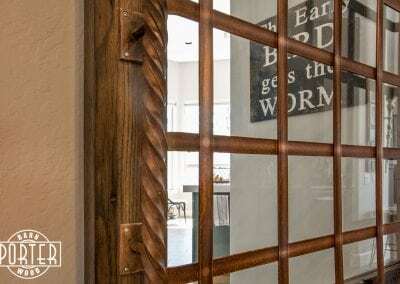 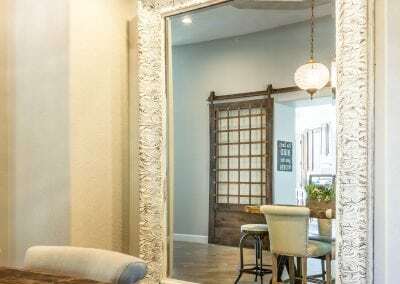 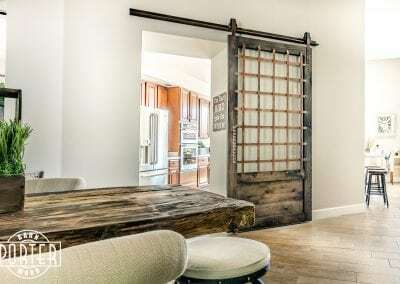 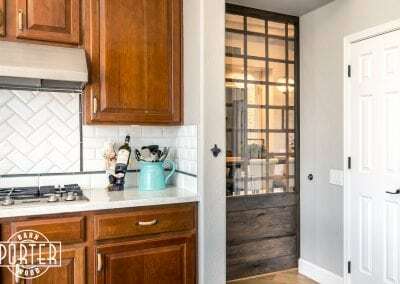 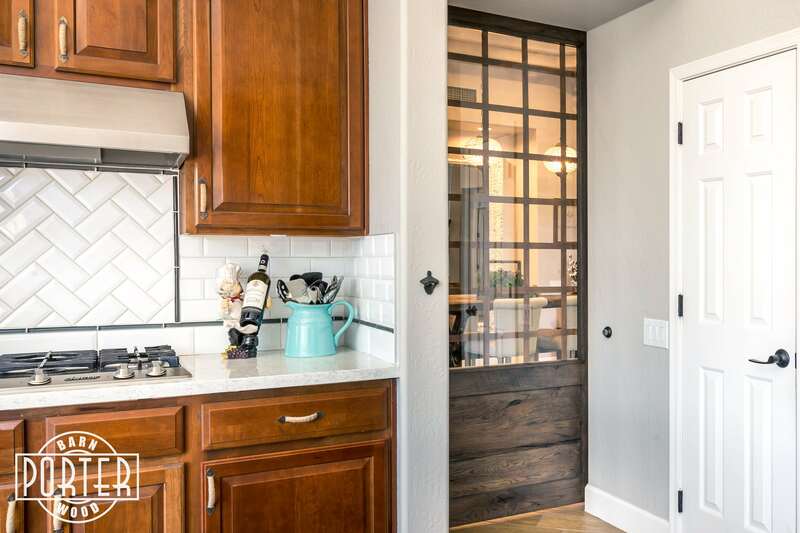 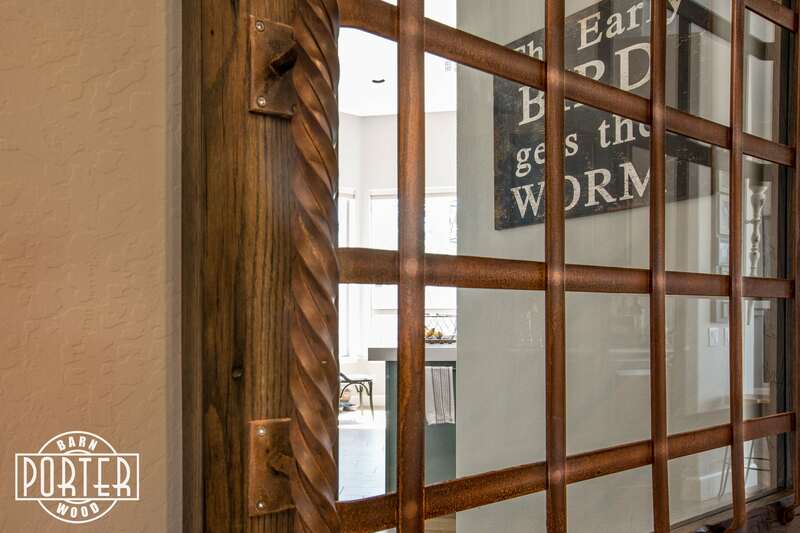 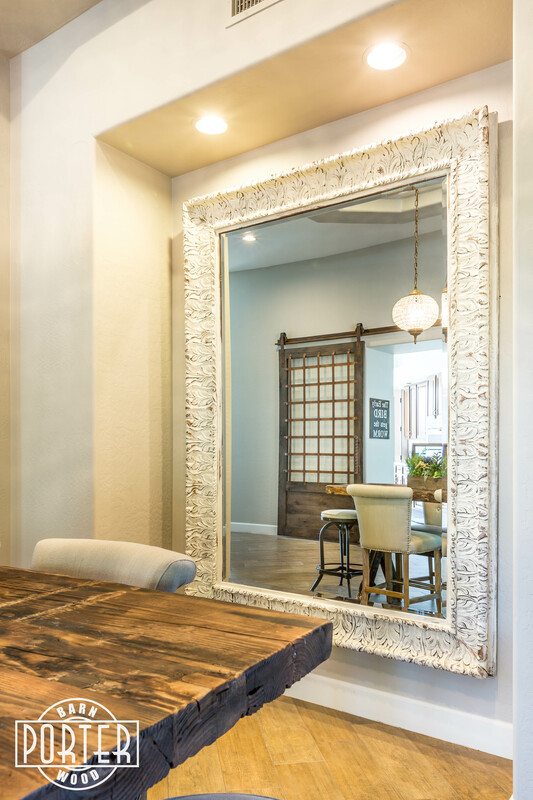 Custom graywash flat lacquer reclaimed hardwood door with glass and riveted iron. 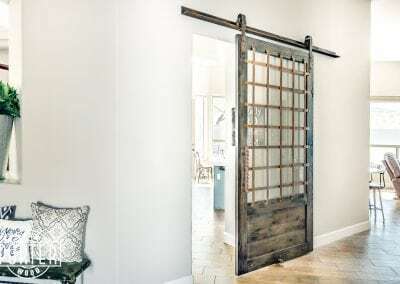 Hand-forged twisted steel pull and our 4” hardware in a blackened rusty patina. Very cool door project!